Heart failure is a major medical problem that is increasing as the average person is living longer and medical interventions decrease cardiovascular mortality. Heart transplantation is a viable treatment option for select patients with end-stage heart failure. Living with a Heart Transplant is the main resource for patient and family education. Please familiarize yourself with the content of this booklet. Copies are available on the unit. Please familiarize yourself with the information on this site in preparation for the classroom portion of the workshop. 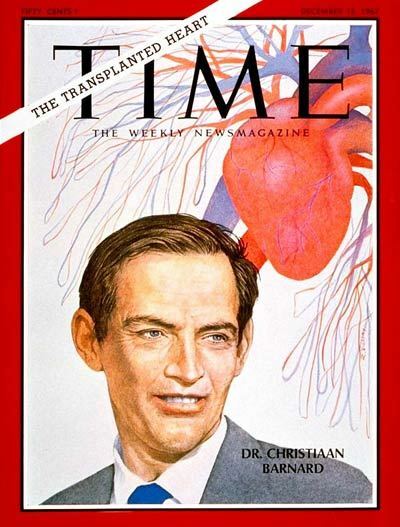 The first human heart transplant was performed in 1967 in South Africa by Dr. Christiaan Barnard. By the 1980s, heart transplants were being performed on a routine basis. Current survival rates, 86% at one year, are primarily due to advances in surgical and medical care. The survival rates are 79.1% at 5 years out; 62% at 10 years out; 47% at 15 years out; and 36% at 20 years out (Heart and Stroke, 2011). The fifteen and twenty-year survival rates may seem low but remember, half of these patients would not have lived one year without a transplant. Recipients who die following the transplant procedure usually do so within the first 30 days. Those at greatest risk are those who deteriorate rapidly before the procedure. Infection, cardiac failure or rejection is usually the cause of death. Generally, less than 10% of pre-heart transplant clinic referred patients will end up on the transplant list. pulmonary hypertension: this is an absolute contraindication as continuing pulmonary hypertension will have detrimental effects on the new heart (the new heart will have to pump against this resistance which will eventually lead to right-sided heart failure). Pulmonary vascular resistance, measured in Wood units, must be less than 6 Wood units. Donor and recipient are matched by ABO blood group (as well as by weight and body size). The most common blood type is O, then A, then B, and then AB. The blood type of the donor must be compatible with the recipient. Rules for transplant blood type is the same as for blood transfusion. Some blood types can given to others and some may not. Type O is considered the universal donor and type AB is the universal recipient. Why is this important? Blood type will impact how long a patient waits for a compatible heart. Type O patients generally wait the longest (average 198 days) and AB the shortest time (29 days).There are, of course, factors other than blood type that influences an individual's wait time. When patients are listed for transplantation they are assigned a listing status according to their disease stability and the likelihood of survival without transplantation. The status criteria were developed by the Canadian Transplant Network and is used for those patients who have already been deemed appropriate transplant recipients. 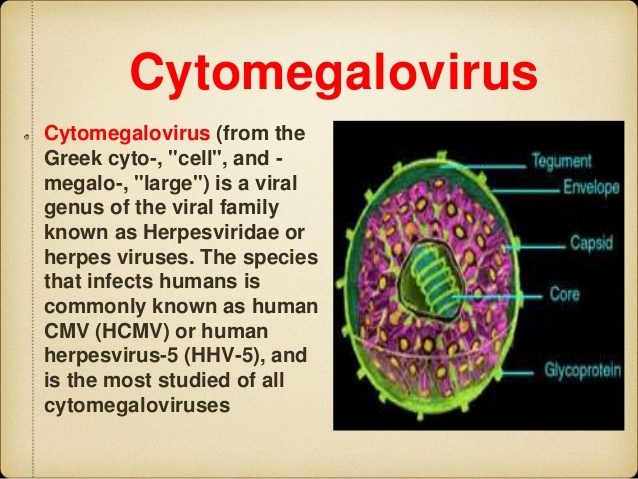 Cytomegalovirus (CMV) is a type of herpes virus that can affect any organ and cause a variety of infections. CMV infection is common, infecting between 50-90% of adults, and is usually asymptomatic in healthy adults but can cause severe disease in the immunosuppressed patient. It is passed from one person to another through direct contact with infectious tissue or fluids. Once contracted the virus can remain dormant for long periods. Reactivation of latent virus can cause recurrent infections for transplant recipients. CMV-negative recipient with a CMV-positive donor is at greatest risk for infection. The major symptoms of a CMV infection in a transplant patient include fever, mylagia, malaise, arthralgia, leucopenia, thrombocytopenia, and hepatitis (illness resembles mononucleosis). Treatment is IV ganciclovir or oral valganciclovir. If there is a mismatch between donor and recipient, prophylactic valganciclovir is given orally for three months. During this time weekly blood work is done to assess the patient's viral load. Careful hygiene is the best prevention against CMV; frequent hand washing, avoid others' tears and saliva, and not sharing food or drink from someone else's glass. There is no cure and no vaccine for CMV. Arrhythmias are common in the early post-op period after heart transplant. Surgical trauma to the SA and AV nodes, ischemia of the donor heart during preservation, and surgical suture lines can lead to arrhythmias. As well, the denervated donor heart has increased sensitivity to amines, acetylcholine which may contribute to tachy and brady arrhythmias. The normal resting sinus rate of the denervated heart is usually 80 bpm (may be as high as 100 bpm in a young donor heart) due to the loss of vagal neural inputs which have a negative chronotropic effect. Sympathetic vagal re-innervation is generally absent in the majority of patients for up to eight years. PACs and PVCs occur in about 60% of patients. Sinus node dysfunction, conduction disturbances (new RBBB), supraventricular arrhythmias, and ventricular tachycardia may also occur. Brady arrhythmias will not respond to atropine due to vagal denervation. If epicardial pacing wires are present, temporary epicardial pacing may be initiated for symptomatic patients. Due to effective immunosuppression therapy and graft survival, infection and malignancy have become the barriers to transplant survival. Infection is a major cause of morbidity and mortality for patients who are immunosuppressed. Patients on multiple high dose immunosuppressants are particularly vulnerable Bacterial infections are the most common infections; fungal, viral and protozoan are more difficult to treat. Potential sources of infection include community-acquired diseases as well as opportunistic infections (pulmonary infections progress rapidly) . As a result of immunosuppression, inflammatory responses associated with infection are impaired resulting in decreased symptoms and clinical findings (serology is not useful due to the delayed seroconversion). When a patient does present with symptoms, the infections are often advanced. Handwashing and universal precautions are imperative. As lungs are the primary site of infection, good respiratory assessments are important. Deep breathing and coughing, mobilization are used to minimize atelectasis and possible infection. A temperature rise over 37.5 C, the development of a cough, are indications for further investigations. Malignancy is a major threat to long-term survival. Generally, immunosuppression is believed to be responsible for the increased risk of malignancies. As cardiac transplant requires a higher level of immunosuppression due to the risk of death with organ rejection there is a greater likelihood of malignancy. Other factors such as sun exposure and concomitant viral infections may also play a role.Four viruses may be co-carcinogenic in the transplant patient - Epstein-Barr virus, HHV-8, HPV, and Merkel cell polyomavirus. The patient and family should be educated regarding prevention strategies and periodic screening for cancer. Patients may also have anti-viral prophylaxis to prevent viral infections. After the first year, coronary artery disease of the arteries of the transplanted heart (cardiac allograft vasculopathy or CAV) can occur. CAV is the second most common cause of death after malignancy. CAV is confined to the allograft and is characterized by diffuse concentric longitudinal intimal hyperplasia in the epicardial coronary arteries and microvasculature. Immunologic factors appear to play a part as CAV develops in the donor's but not the recipient's arteries. Non-immunological factors like CMV infection, glycemic control, coronary artery history and endothelial dysfunction also contribute to CAV. As the heart is denervated and reinnervation is incomplete, vasculopathy's progression is usually silent as patients will not have the classic angina symptoms, but rather silent MI, sudden cardiac death and heart failure. Effective prevention is needed. Statins (pravastatin and simvastatin) have been shown to reduce the incidence and severity of CAV. Other drugs such as Diltiazem and Sirolumus have shown some reduction in CAV. PCI, bypass surgery, and retransplantation may be considered as well. 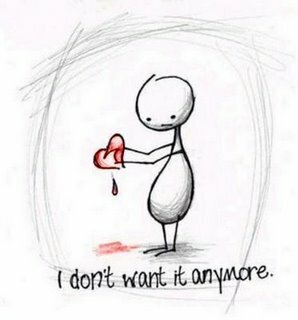 The most significant risk after transplant is rejection of the new heart. Rejection is triggered by the presence of antigens on the surface of the cells of the transplanted heart. There are three types of rejection. Advances in immunosuppression have made rejection rare. Acute rejection is a problem that occurs early after transplantation in the first three to six months. The patient's T-cells recognize the foreign cells of the transplanted heart, combine with antigen on the transplanted heart and cause total cellular destruction. Acute cellular rejection can cause graft dysfunction. Most cases are diagnosed during routine surveillance endomyocardial biopsies before the patient is symptomatic. If symptoms do occur they are often manifestations of left ventricular dysfunction - shortness of breath, profound fatigue, weight gain (1kg/day), ankle edema, arrhythmias, palpitations, and hypotension. Endomyocardial biopsies are performed under fluoroscopy using a bioptome which is guided down the superior vena cava, across the right atrium and tricuspid valve into the right ventricle. A minimum of three to four specimens of endomyocardial tissue are obtained from the right ventricular septum. Complications of this procedure include risk of cardiac tamponade, arrhythmias, heart block, pneumothorax, arterial puncture, pulmonary embolization, hematoma, and damage to the tricuspid valve. Grade 1R, mild - interstitial and/or perivascular infiltrate with up to one focus of myocyte damage. Usually not treated. Grade 3R, severe - diffuse infiltrate with multifocal damage, with or without edema, hemorrhage, or vasculitis. Treated with IV steroid pulse with close monitoring. if hemodynamically compromised the patient will be admitted to CICU for monitoring, an echo, inotropes and adjustment of immunosuppressants. Also called antibody-mediated rejection (AMR), this is an uncommon form of rejection caused by antibody and complement accumulation in the tissue and blood. Antibody-mediated rejection can occur days or years after transplantation, although more common in the first six months. Morality with this type of rejection is high and accelerated transplant vasculopathy (CAV) development is often seen. CAV, also called chronic rejection, may be present in 50% of patients five years after transplant. AMR has a worse prognosis than cellular rejection. AMR is more severe hemodynamically than the T-cell-mediated cellular rejection. Graft dysfunction is present in up to 2/3 of patients. Hemodynamic compromise occurs in about half the patients and manifests as shock, hypotension, decreased cardiac output, and/or a rise in pulmonary wedge pressure. Hyperacute rejection occurs when the recipient has performed cytotoxic antibodies to the donor antigens. 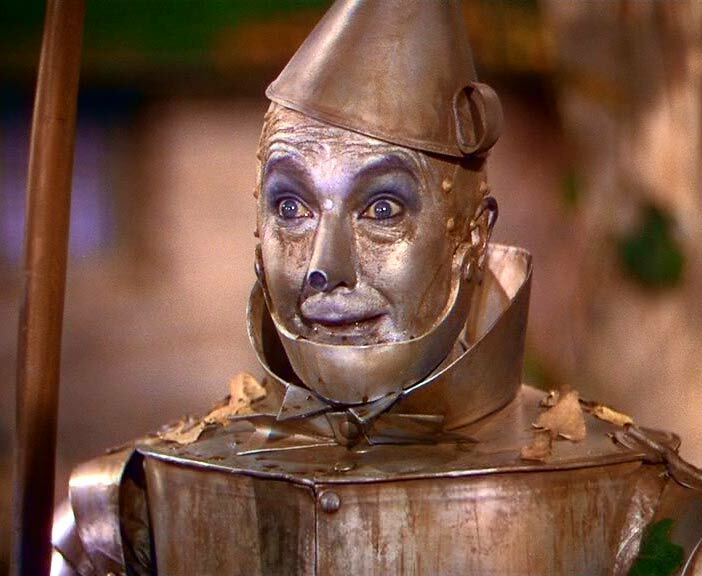 This type of rejection occurs within the first 24 hours of transplantation. Widespread endothelial damage leads to global ischemia and allograft failure. 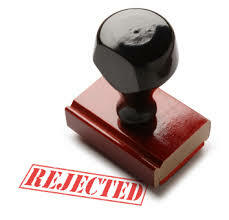 This type of rejection is most often due to implantation of an ABO blood group mismatch. Due to pre-op screening and crossmatching of transplant recipients, the incidence of this type of rejection is low. However, if it does occur, treatment is usually not effective and the patient dies. The goal of immunosuppression is to reduce or eliminate rejection and to prevent allograft vasculopathy. Nurses play a key role in patient education regarding medication and medication side effects. Nurses can prepare patients and teach strategies for coping with side effects. It is important for patients to be able to detect problems and know when to seek medical attention. also known as CellCept, it is an immunosuppressant that works at the late stage of T-cell activation. It also acts against B cells and may play a role in preventing graft atherosclerosis. sirolimus (and the derivative Everolimus) is an antibiotic that prevents cell cycle activation and T-cell proliferation. It is not used very frequently in our centre. also known as Neoral, cyclosporine selectively interferes in the immune system, specifically targeting T cells. The specificity allows the body to retain some ability to fight infection. Cyclosporine is rarely used on our unit. also known as Prograf, tacrolimus is a potent immunosuppressive macroglide antibiotic that acts to inhibit the early stage of T-cell activation and is used as an alternative to cyclosporine (research suggests it is more effective than cyclosporine). tacrolimus is nephrotoxic but does not cause the increase hair growth and other unpleasant side effects associated with cyclosporine. Primary side effects are nausea, headache, and tremors, hyperkalemia, hyperglycemia. dose is based on patient weight, 15mg/kg BID at 09 & 2100.
the anti-rejection actions of this drug provides protection from rejection by impairing the sensitivity of T cells to the foreign antigen, decreasing T cell proliferation, and decreasing macrophage mobility. skin fragility and bruising are common with long-term use and patient should be taught to monitor their skin and be alert to lesions that do not heal well or become infected. What is the average five-year survival rate for heart transplant recipients? Which blood type has the longest wait on the transplant list? What are three common indications for heart transplant? What does a patient's transplant listing status refer to? Why is cytomegalovirus a concern for transplant patients? What are three common complications post-transplant? Which drug class has been shown to reduce the incidence and severity of coronary allograph vasculopathy? Transplant rejection is categorized by 'grades' with Grade 0 indicating severe rejection and Grade 3R indicating no rejection. What is the goal of immunosuppression? What are the three immunosuppressing medications routinely prescribed post transplant?